Explore the forgotten spaces and buried histories of Vancouver’s Chinatown. 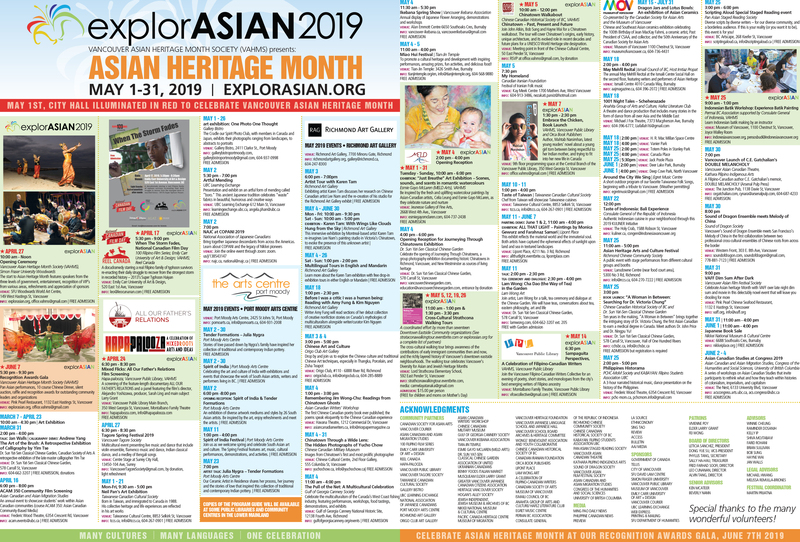 Discover the cultural currents that connect you to Chinatown past and present.Learn how to create story boards, craft an engaging story, record voiceovers, and perform basic audio editing to produce your own digital Chinatown story. 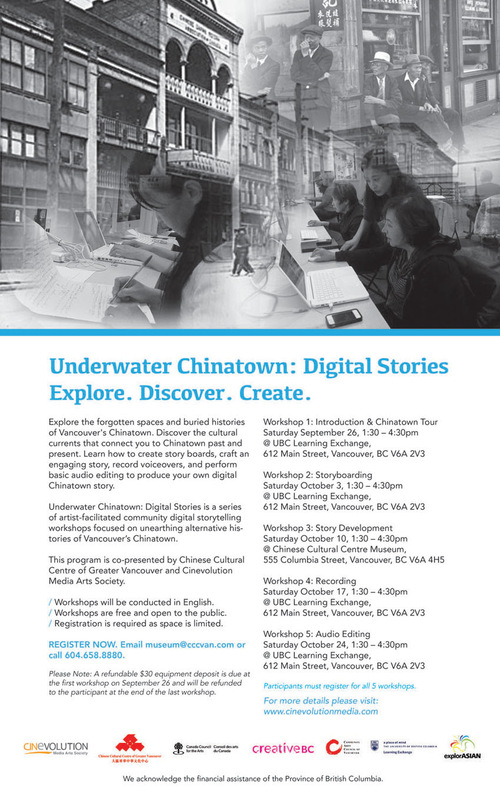 Underwater Chinatown: Digital Stories is a series of artist-facilitated community digital storytelling workshops focused on unearthing alternative histories of Vancouver’s Chinatown. This program is co-presented by Chinese Cultural Centre of Greater Vancouver and Cinevolution Media Arts Society. Workshops will be conducted in English. Workshops are free and open to the public. Registration is required as space is limited. Participants must register for all five workshops. Please Note: A refundable $30 equipment deposit is due at the first workshop onSeptember 26 and will be refunded to the participant at the end of the last workshop. We acknowledge the financial assistance of Community Arts Council of Vancouver, Canada Council for the Arts, Creative BC and the Province of British Columbia. Special thanks to UBC Learning Exchange.